Veronica works as a Project Manager in EU and Horizon 2020 related activities. Her specialties lie in ICT and digital products, with a special interest in supporting startup ecosystems and in opening new paths for corporations to collaborate with startups. As a member of the Factory Berlin, she has a prime spot in the middle of one of the fastest growing startup cities in Europe. Veronica has gathered significant experience in supporting the business development of cutting-edge European start-ups and has been involved in several successful EU projects since her time in the Academia. She is a true nerd about all things digital communication and content marketing, and regularly ranks among the early adopters of new digital tools among her friends and colleagues. Veronica holds a Ph.D. in political studies gained between the University of Verona, the Humboldt Universität in Berlin and the DePaul University of Chicago. 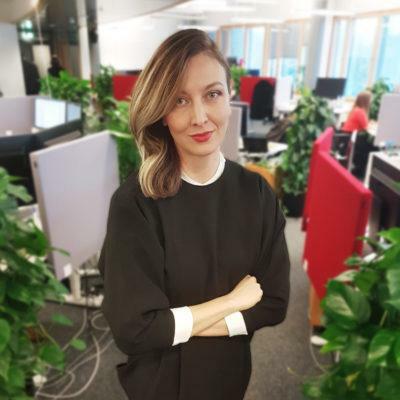 She also holds a certificate in Project Management and Praxis Transfer from the Steinbeis Hochschule Berlin and has gathered further training in digital marketing and management of EU projects. She is fluent in English, German and Italian and can fend for herself in three others. Veronica is an avid reader and listener of political podcasts and periodically suffers from Wanderlust.